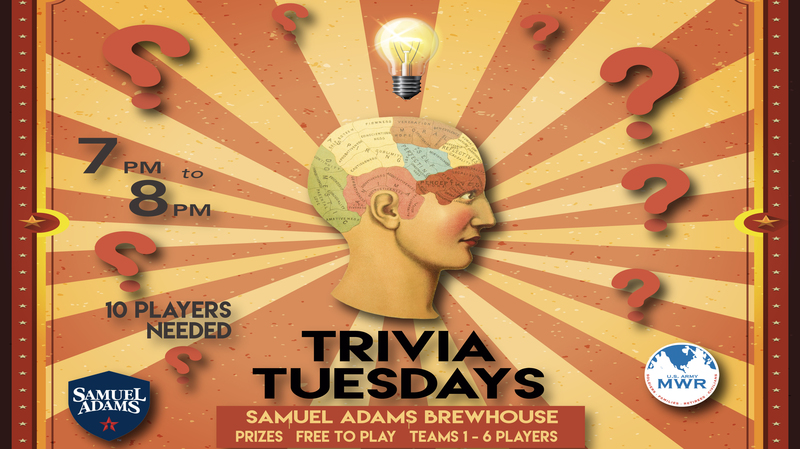 Date: Apr 16 2019, 7 p.m. - 8 p.m.
Bring your friends along for a night of good old fashion trivia with great prizes to be won for 1st and 2nd place winners! Free to play! Team sizes from 1 to 6. Must have 10 players minimum.